Our premiere service. 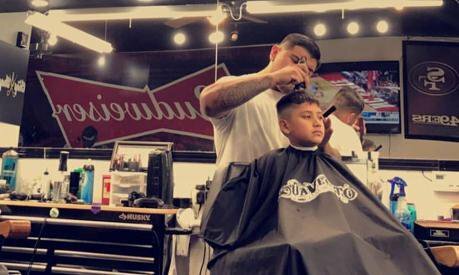 Come in and let one of the best barbers in town clean you up. Clean up the top and clean up the face. There is nothing better to compliment a fresh cut than some crystal clear skin. Our all inclusive full service haircut. It is care for your whole head. Seriously though this will make anyone look good. We’re sure you love your little one, and we do too. 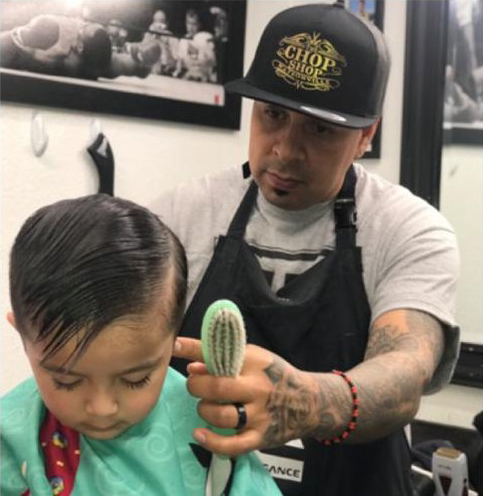 Come on in for our kids haircut and you’ll both leave happy. Just need a quick fix up on your beard? Trim, shape, and straight razor shave finish off with a hot towel. 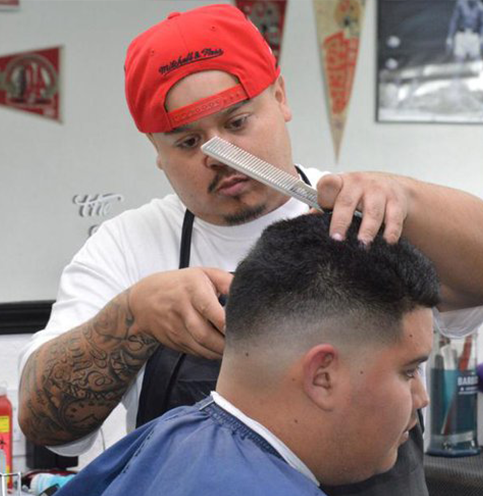 Our barbers are the best in Watsonville. 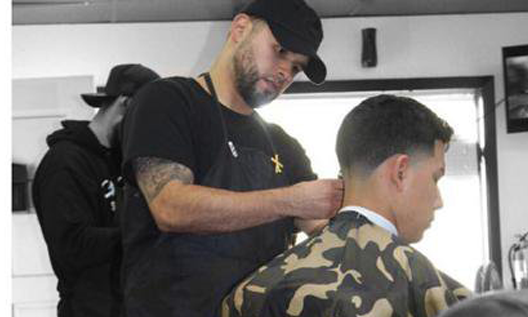 They each take pride in their craft and make sure nobody leaves without being completely satisfied with their haircut. Give us a try and you won’t be sorry. People don’t come to The Chop Shop just to get a haircut. Wether it’s watching a game, eating some food, or even just hanging out. The Chop Shop is a warm and welcome place. Come get your haircut and hangout before or after. 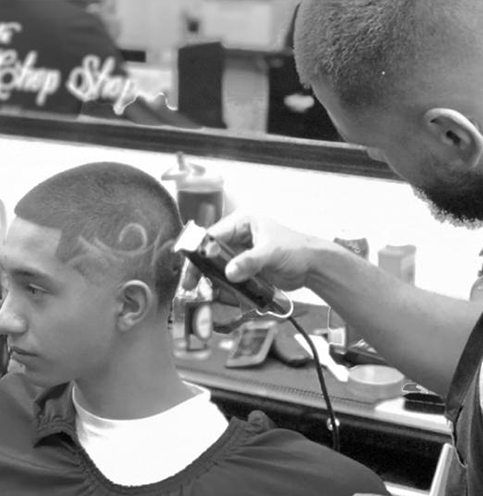 Every one of our barbers has their own style but each one is great. 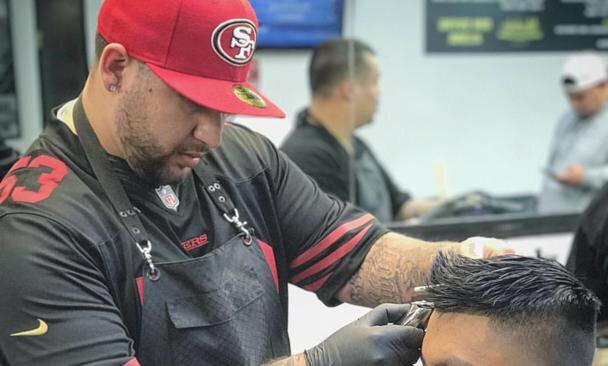 Click on the picture of the barber to be taken directly to their online portal and book your haircut directly with them now!